Application software is software designed to perform a group of coordinated functions, tasks, or activities for the benefit of the user. Examples of an application include a word processor, a spreadsheet, an accounting application, a web browser, an email client,a media player, a file viewer, an aeronautical flight simulator, a console game or a photo editor. The collective noun application software refers to all applications collectively. This contrasts with system software, which is mainly involved with running the computer. Data is a set of values of subjects with respect to qualitative or quantitative variables. A table is an arrangement of data in rows and columns, or possibly in a more complex structure. Tables are widely used in communication, research, and data analysis. Tables appear in print media, handwritten notes, computer software, architectural ornamentation, traffic signs, and many other places. The precise conventions and terminology for describing tables vary depending on the context. Further, tables differ significantly in variety, structure, flexibility, notation, representation and use. In books and technical articles, tables are typically presented apart from the main text in numbered and captioned floating blocks. Arithmetic is a branch of mathematics that consists of the study of numbers, especially the properties of the traditional operations on them—addition, subtraction, multiplication and division. Arithmetic is an elementary part of number theory, and number theory is considered to be one of the top-level divisions of modern mathematics, along with algebra, geometry, and analysis. 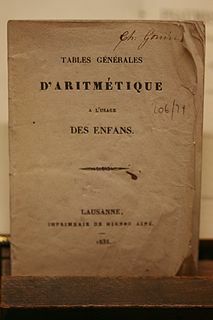 The terms arithmetic and higher arithmetic were used until the beginning of the 20th century as synonyms for number theory and are sometimes still used to refer to a wider part of number theory. In finance, the net present value (NPV) or net present worth (NPW) is the summation of the present (now) value of a series of present and future cash flows. Because NPV accounts for the time value of money NPV provides a method for evaluating and comparing products with cash flows spread over many years, as in loans, investments, payouts from insurance contracts plus many other applications. In statistics, the standard deviation is a measure that is used to quantify the amount of variation or dispersion of a set of data values. 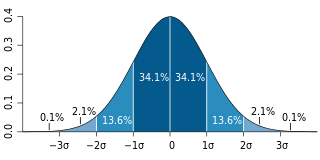 A low standard deviation indicates that the data points tend to be close to the mean of the set, while a high standard deviation indicates that the data points are spread out over a wider range of values. Bookkeeping is the recording of financial transactions, and is part of the process of accounting in business. Transactions include purchases, sales, receipts, and payments by an individual person or an organization/corporation. There are several standard methods of bookkeeping, including the single-entry and double-entry bookkeeping systems. While these may be viewed as "real" bookkeeping, any process for recording financial transactions is a bookkeeping process. LANPAR, available in 1969,  was the first electronic spreadsheet on mainframe and time sharing computers. LANPAR was an acronym: LANguage for Programming Arrays at Random. 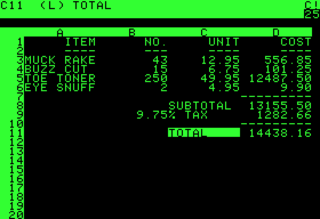 VisiCalc was the first electronic spreadsheet on a microcomputer,  and it helped turn the Apple II computer into a popular and widely used system. Lotus 1-2-3 was the leading spreadsheet when DOS was the dominant operating system. Excel now has the largest market share on the Windows and Macintosh platforms. A spreadsheet program is a standard feature of an office productivity suite; since the advent of web apps, office suites now also exist in web app form. Web based spreadsheets are a relatively new category. The Apple II series is a family of home computers, one of the first highly successful mass-produced microcomputer products, designed primarily by Steve Wozniak, manufactured by Apple Computer, and launched in 1977 with the original Apple II. In terms of ease of use, features, and expandability, the Apple II was a major advancement over its predecessor, the Apple I, a limited-production bare circuit board computer for electronics hobbyists. Through 1988, a number of models were introduced, with the most popular, the Apple IIe, remaining changed relatively little into the 1990s. A 16-bit model with much more advanced graphics and sound, the Apple IIGS, was added in 1986. While compatible with earlier Apple II systems, the IIGS was in closer competition with the Atari ST and Amiga. Lotus 1-2-3 is a discontinued spreadsheet program from Lotus Software. It was the IBM PC's first killer application, was hugely popular in the 1980s and contributed significantly to the success of the IBM PC. Numbers is a spreadsheet application developed by Apple Inc. as part of the iWork productivity suite alongside Keynote and Pages. Numbers is available for iOS, and macOS High Sierra or newer. Numbers 1.0 on OS X was announced on 7 August 2007, making it the newest application in the iWork suite. The iPad version was released on 27 January 2010. The app was later updated to support iPhone and iPod Touch. In communications and computing a machine-readable medium, or computer-readable medium, is a medium capable of storing data in a format readable by a mechanical device. The relational model (RM) for database management is an approach to managing data using a structure and language consistent with first-order predicate logic, first described in 1969 by English computer scientist Edgar F. Codd, where all data is represented in terms of tuples, grouped into relations. A database organized in terms of the relational model is a relational database. A batch "spreadsheet" is indistinguishable from a batch compiler with added input data, producing an output report, i.e., a 4GL or conventional, non-interactive, batch computer program. However, this concept of an electronic spreadsheet was outlined in the 1961 paper "Budgeting Models and System Simulation" by Richard Mattessich. The subsequent work by Mattessich (1964a, Chpt. 9, Accounting and Analytical Methods) and its companion volume, Mattessich (1964b, Simulation of the Firm through a Budget Computer Program) applied computerized spreadsheets to accounting and budgeting systems (on mainframe computers programmed in FORTRAN IV). These batch Spreadsheets dealt primarily with the addition or subtraction of entire columns or rows (of input variables), rather than individual cells. LANPAR was used by Bell Canada, AT&T and the 18 operating telephone companies nationwide for their local and national budgeting operations. LANPAR was also used by General Motors. Its uniqueness was Pardo's co-invention incorporating forward referencing/natural order calculation (one of the first "non-procedural" computer languages)  as opposed to left-to-right, top to bottom sequence for calculating the results in each cell that was used by VisiCalc, SuperCalc, and the first version of MultiPlan. Without forward referencing/natural order calculation, the user had to manually recalculate the spreadsheet as many times as necessary until the values in all the cells had stopped changing. Forward referencing/natural order calculation by a compiler was the cornerstone functionality required for any spreadsheet to be practical and successful. An example of an early "industrial weight" spreadsheet was APLDOT, developed in 1976 at the United States Railway Association on an IBM 360/91, running at The Johns Hopkins University Applied Physics Laboratory in Laurel, MD. The application was used successfully for many years in developing such applications as financial and costing models for the US Congress and for Conrail. APLDOT was dubbed a "spreadsheet" because financial analysts and strategic planners used it to solve the same problems they addressed with paper spreadsheet pads. VisiCalc went on to become the first "killer application",   an application that was so compelling, people would buy a particular computer just to use it. VisiCalc was in no small part responsible for the Apple II's success. The program was later ported to a number of other early computers, notably CP/M machines, the Atari 8-bit family and various Commodore platforms. Nevertheless, VisiCalc remains best known as an Apple II program. Use of named column variables x & y in Microsoft Excel. Formula for y=x resembles Fortran, and Name Manager shows the definitions of x & y.
Trapeze,  a spreadsheet on the Mac, went further and explicitly supported not just table columns, but also matrix operators. Spreadsheets are a popular end-user development tool. EUD denotes activities or techniques in which people who are not professional developers create automated behavior and complex data objects without significant knowledge of a programming language. Many people find it easier to perform calculations in spreadsheets than by writing the equivalent sequential program. This is due to several traits of spreadsheets. Similarly, formulas expressed in terms of cell addresses are hard to keep straight and hard to audit. Research shows that spreadsheet auditors who check numerical results and cell formulas find no more errors than auditors who only check numerical results. That is another reason to use named variables and formulas employing named variables. Many spreadsheet software products, such as Microsoft Excel  (versions prior to 2007) and OpenOffice.org Calc  (versions prior to 2008), have a capacity limit of 65,536 rows by 256 columns (216 and 28 respectively). This can present a problem for people using very large datasets, and may result in data loss. Spreadsheet risk is the risk associated with deriving a materially incorrect value from a spreadsheet application that will be utilised in making a related (usually numerically-based) decision. Examples include the valuation of an asset, the determination of financial accounts, the calculation of medicinal doses or the size of load-bearing beam for structural engineering. The risk may arise from inputting erroneous or fraudulent data values, from mistakes (or incorrect changes) within the logic of the spreadsheet or the omission of relevant updates (e.g., out of date exchange rates). Some single-instance errors have exceeded US$1 billion. Because spreadsheet risk is principally linked to the actions (or inaction) of individuals it is defined as a sub-category of operational risk. Microsoft Excel is a spreadsheet developed by Microsoft for Windows, macOS, Android and iOS. It features calculation, graphing tools, pivot tables, and a macro programming language called Visual Basic for Applications. It has been a very widely applied spreadsheet for these platforms, especially since version 5 in 1993, and it has replaced Lotus 1-2-3 as the industry standard for spreadsheets. Excel forms part of the Microsoft Office suite of software. Multiplan was an early spreadsheet program developed by Microsoft. Known initially by the code name "EP", it was introduced in 1982 as a competitor for VisiCalc. Lotus Improv is a discontinued spreadsheet program from Lotus Development released in 1991 for the NeXTSTEP platform and then for Windows 3.1 in 1993. Development was put on hiatus in 1994 after slow sales on the Windows platform, and officially ended in April 1996 after Lotus was purchased by IBM. Quattro Pro is a spreadsheet program developed by Borland and now sold by Corel, most often as part of Corel's WordPerfect Office suite. SPSS Statistics is a software package used for interactive, or batched, statistical analysis. Long produced by SPSS Inc., it was acquired by IBM in 2009. The current versions (2015) are named IBM SPSS Statistics. TK Solver is a mathematical modeling and problem solving software system based on a declarative, rule-based language, commercialized by Universal Technical Systems, Inc.
Essbase is a multidimensional database management system (MDBMS) that provides a multidimensional database platform upon which to build analytic applications. Essbase, whose name derives from "extended spreadsheet database", began as a product of Arbor Software, which merged with Hyperion Software in 1998. Oracle Corporation acquired Hyperion Solutions Corporation in 2007, as of 2009 Oracle marketed Essbase as "Oracle Essbase" and more recently, Essbase is offered as part of the Oracle Analytics Cloud. Until late 2005 IBM also marketed an OEM version of Essbase as DB2 OLAP Server. Javelin Software Corporation (1984-1988) was a company in Cambridge, Massachusetts which developed an innovative modeling and data analysis product, also called Javelin, and later Javelin Plus. Seen as the successor technology to spreadsheet software in reviews of the time, and rival to the then-dominant Lotus 1-2-3, Javelin won numerous industry awards, including besting Microsoft's new Excel for the InfoWorld Software Product of the Year award. SuperCalc is a CP/M-80 spreadsheet application published by Sorcim in 1981. VisiCalc was the first spreadsheet program but its release for the CP/M operating system ran only on the HP-125, Sharp MZ80, and the Sony SMC-70. SuperCalc was created to fill that void and market opportunity. Alongside WordStar, it was one of the CP/M applications bundled with the Osborne 1 portable computer. It quickly became popular and was ported to MS-DOS in 1982. Spreadsheet 2000 is a discontinued spreadsheet program for Apple Macintosh computers, published by Casady & Greene, a distributor of many "smaller" Mac releases. It appears to have seen little in terms of sales, and was withdrawn from the market after only a short time. First released in 1993 as Let's Keep It Simple Spreadsheet, officially abbreviated Let's KISS, the product was renamed Spreadsheet 2000 for its 2.0 release in 1997. Data Interchange Format (.dif) is a text file format used to import/export single spreadsheets between spreadsheet programs. One limitation is that DIF format cannot handle multiple spreadsheets in a single workbook. A worksheet, in the word's original meaning, is a sheet of paper on which one performs work. It is a printed page that a child completes with a writing instrument. No other materials are needed. It is "a sheet of paper on which work schedules, working time, special instructions, etc. are recorded. A piece or scrap of paper on which problems, ideas, or the like, are set down in tentative form." In education, a worksheet may have questions for students and places to record answers. In accounting, a worksheet is, or was, a sheet of ruled paper with rows and columns on which an accountant could record information or perform calculations. A software calculator is a calculator that has been implemented as a computer program, rather than as a physical hardware device. Construction cost estimating software is computer software designed for contractors to estimate construction costs for a specific project. A cost estimator will typically use estimating software to estimate their bid price for a project, which will ultimately become part of a resulting construction contract. Some architects, engineers, construction managers, and others may also use cost estimating software to prepare cost estimates for purposes other than bidding. DiffEngineX compares two Excel spreadsheets and reports their differences. It compares cells, comments, defined ranges (names) and Visual Basic for Applications (VBA) macros. Before a cell-by-cell comparison, similar rows and columns between two spreadsheets have to be aligned by the insertion of blank rows/columns. Otherwise identical cells between two workbooks will be missed. It runs on Microsoft Windows. Boeing Calc was a spreadsheet package written by Boeing Computer Services, an independent subsidiary of aviation manufacturer Boeing. It had originally been developed as an in-house accounting tool, but was launched as a commercial product in April 1985 for IBM 4300 mainframes running IBM MVS and IBM PC microcomputers running MS-DOS. The original launch price was $399 per copy for the PC version and $8,899 for a combined PC/mainframe bundle. ↑ "spreadsheet". merriam-webster.com. Merriam-Webster . Retrieved 23 June 2016. ↑ American Heritage Dictionary of the English Language (5th ed.). Houghton Mifflin Harcourt Publishing Company. 2011. A software interface consisting of an interactive grid made up of cells in which data or formulas are entered for analysis or presentation. ↑ "spreadsheet". WhatIs.com. TechTarget . Retrieved 23 June 2016. ↑ "spreadsheet". Dictionary.com Unabridged. Random House, Inc. Retrieved 23 June 2016. ↑ Beal, Vangie. "spreadsheet". webopedia. QuinStreet . Retrieved 23 June 2016. ↑ "Spreadsheet". Computer Hope. Retrieved 23 June 2016. 1 2 Higgins, Hannah (2009-01-01). The Grid Book. MIT Press. ISBN 9780262512404. ↑ Lewis, Peter H. (1988-03-13). "The Executive computer; Lotus 1-2-3 Faces Up to the Upstarts". NYTimes.com . The New York Times Company . Retrieved 2012-10-14. Release 3.0 is being written in the computer language known as C, to provide easy transportability among PCs, Macs and mainframes. ↑ "Rivals Set Their Sights on Microsoft Office: Can They Topple the Giant? –Knowledge@Wharton". Wharton, University of Pennsylvania. Retrieved 2010-08-20. ↑ "spreadsheet analysis from winners, losers, and Microsoft". Utdallas.edu. Retrieved 2010-08-20. ↑ "A". Utdallas.edu. Retrieved 2010-08-20. 1 2 Power, D. J. (30 August 2004). "A Brief History of Spreadsheets". DSSResources.COM (3.6 ed.). Retrieved 25 June 2014. ↑ Mattessich, Richard (1961). "Budgeting Models and System Simulation". The Accounting Review. 36 (3): 384–397. JSTOR 242869. ↑ "Refac v. Lotus". Ll.georgetown.edu. Retrieved 2010-08-20. ↑ This may be a backronym, as "LANPAR is also a portmanteau of the developers' surnames, "Landau" and "Pardo"
↑ "Rene Pardo – Personal Web Page". renepardo.com. ↑ "Killer Applications" (overview), Partha gawaargupta. Arizona State University in Tempe, Arizona, May 2002, Web page: ASU-killer-app Archived 2011-09-29 at the Wayback Machine . ↑ "Whole Earth Software Catalog". Some say that half of all IBM PCs, in their hundreds of thousands, are running just 1-2-3. Numbers— clever, quick, knowledgeable— boiling the stupidity out of countless business decisions. Interesting how essential the quickness is. It's 1-2-3's speed that put it on top. ↑ Liebowitz, Stan; Margolis, Stephen (2001). "6". In Ellig, Jerome. Dynamic Competition and Public Policy: Technology, Innovation, and Antitrust Issues. Cambridge: Cambridge University Press. p. 171. ISBN 978-0-521-78250-0. ↑ Vaughan-Nichols, Steven J. (15 May 2013). "Goodbye, Lotus 1-2-3". zdnet.com. CBS Interactive . Retrieved 24 July 2014. ↑ "Improv and PowerStep". Archived from the original on 2002-06-06. Retrieved 2010-08-20. ↑ "THE EXECUTIVE COMPUTER – Lotus 1-2-3 Faces Up to the Upstarts – NYTimes.com". nytimes.com. 13 March 1988. ↑ "Linux Spreadsheets". hex.net. Archived from the original on 6 August 2002. ↑ Burnett, Margaret; Atwood, J.; Walpole Djang, R.; Reichwein, J.; Gottfried, H.; Yang, S. (March 2001). "Forms/3: A first-order visual language to explore the boundaries of the spreadsheet paradigm". Journal of Functional Programming. 11 (2): 155–206. Retrieved 2008-06-22. ↑ Al-Mutawa, H. A.; Dietrich, J.; Marsland, S.; McCartin, C. (2014). "On the shape of circular dependencies in Java programs". 23rd Australian Software Engineering Conference. IEEE. pp. 48–57. doi:10.1109/ASWEC.2014.15. ISBN 978-1-4799-3149-1. ↑ Peter Hornsby. "Empowering Users to Create Their Own Software". ↑ Peyton Jones, Simon; Burnett, Margaret; Blackwell, Alan (March 2003). "Improving the world's most popular functional language: user-defined functions in Excel". Archived from the original on 2005-10-16. ↑ Sarkar, Advait; Blackwell, Alan; Jamnik, Mateja; Spott, Martin (2014). Teach and Try: A simple interaction technique for exploratory data modelling by end users. 2014 IEEE Symposium on Visual Languages and Human-Centric Computing (VL/HCC 2014). pp. 53–56. CiteSeerX 10.1.1.695.2025 . doi:10.1109/VLHCC.2014.6883022. ISBN 978-1-4799-4035-6. ↑ Sarkar, A.; Jamnik, M.; Blackwell, A.F. ; Spott, M. (2015-10-01). Interactive visual machine learning in spreadsheets. 2015 IEEE Symposium on Visual Languages and Human-Centric Computing (VL/HCC). pp. 159–163. doi:10.1109/VLHCC.2015.7357211. ISBN 978-1-4673-7457-6. ↑ Haynes, John L. (Fall 1985). "Circuit Design with Lotus 1-2-3". BYTE. pp. 143–156. Retrieved 19 March 2016. ↑ Sroka, J.; Panasiuk, A.; Stencel, K.; Tyszkiewicz, J. (2015-02-02). "Translating Relational Queries into Spreadsheets". IEEE Transactions on Knowledge and Data Engineering. 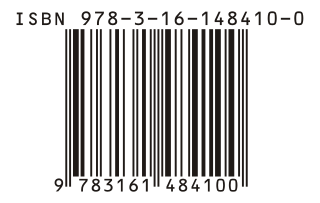 27 (8): 1041–4347. arXiv: 1305.2103 . doi:10.1109/TKDE.2015.2397440. ↑ "Spreadsheet Risk Management within UK Organisations". July 2011. 1 2 Powell, Stephen G.; Baker, Kenneth R.; Lawson, Barry (2007-12-01). "A Critical Review of the Literature on Spreadsheet Errors". Tuck School of Business at Darthmouth College. Retrieved 2008-04-18. ↑ Stephen Bullen, Rob Bovey & John Green (2009). Professional Excel Development (2nd ed.). Addison-Wesley. ISBN 978-0-321-50879-9. 1 2 3 Max Henrion (2004-07-14). "What's Wrong with Spreadsheets – and How to Fix them with Analytica" (PDF). Retrieved 2010-11-13. 1 2 Sam Savage (February 2010). "Weighing the Pros and Cons of Decision Technology in Spreadsheets". ORMS Today Volume 24 Number 1. Retrieved 2010-11-13. ↑ Philip Howard (2005-04-22). "Managing spreadsheets". IT-Directors.com. Retrieved 2006-06-29. ↑ Raymond R. Panko (January 2005). "What We Know About Spreadsheet Errors" . Retrieved 2006-09-22. ↑ Is Excel Budgeting a Mistake? ↑ "Excel specifications and limits – Excel – Microsoft Office". Office.microsoft.com. Retrieved 2018-11-06. ↑ "What's the maximum number of rows and cells for a spreadsheet file? – OpenOffice.org Wiki". Wiki.services.openoffice.org. 2008-11-26. Archived from the original on 2009-05-04. Retrieved 2010-08-20. ↑ "Spreadsheet Management: Not what you figured" (PDF). deloitte.com. Deloitte. 2009. Retrieved 24 July 2014. ↑ "Excel spreadsheets in School budgeting – a cautionary tale (2001)". AccountingWEB. Archived from the original on 2007-10-07. Retrieved 2007-12-18. ↑ "European Spreadsheet Risks Interest Group – spreadsheet risk management and solutions conference". eusprig.org. ↑ "Spreadsheets and Capital Markets" (PDF). June 2009. Archived from the original (PDF) on 2011-06-04. Retrieved 2009-08-13. ↑ "Excel Financial Model Auditing" . Retrieved 20 February 2013. ↑ Jonathan Glater (30 October 2003). "Fannie Mae Corrects Mistakes In Results". The New York Times. Retrieved 12 June 2012. 1 2 Financial Times (18 March 2013). "Finance groups lack spreadsheet controls". ↑ The Guardian (4 April 2013). "Spreadsheet risk and the threat of cyber attacks in finance". ↑ "They Said at First That They Hadn't Made a Spreadsheet Error, When They Had'". The Chronicle Of Higher Education. 24 April 2013. Look up spreadsheet in Wiktionary, the free dictionary.